JDM Medical's gait belts are designed to aid caregivers with transferring, walking, and ambulating patients who can walk on their own, but who may need some assistance. 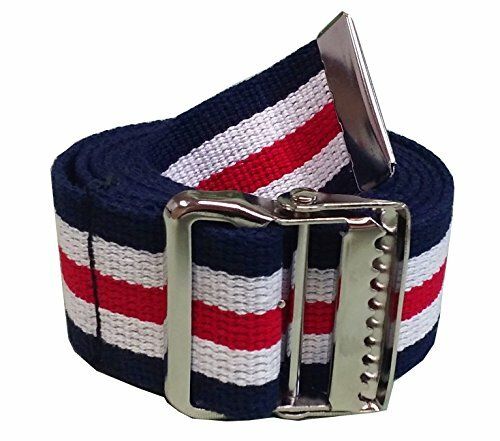 This product is made of 100% natural cotton and has a metal buckle. It is a heavy duty, durable product that is machine washable. Made in U.S.A. by a certified veteran-owned small business. View More In Standing Aids & Supports. If you have any questions about this product by JDM Medical, contact us by completing and submitting the form below. If you are looking for a specif part number, please include it with your message.